Arrested for DWI With a Child In the Car? Here’s What You Need to Know. If you’re pulled over on suspicion of DWI in Collin County, Texas, you need to know that who is in your vehicle with you can make a significant difference in how you are charged. The reason for this is simple: Under Texas law, it is considered a more serious offense to operate a motor vehicle while intoxicated if there are also children in the car. Typically, a person arrested for DWI is charged with a either a Class A or B misdemeanor, assuming they have no prior drunk driving convictions. While a misdemeanor is obviously less serious than a felony, it still carries a potential jail term of between 72 hours (3 days) and 180 days (6 months) and an optional fine not to exceed $2000 for a Class B, and up to one year in the county jail and an optional fine not to exceed $4,000 for a Class A. But there are a number of special circumstances that may elevate the DWI charge to a felony. What does a “state jail felony” mean? This represents the lowest class of felony in the Texas legal system. But it is still a felony. This means if convicted, you face a minimum of 180 days in jail–and a maximum term of up to 2 years. The court can also fine you up to $10,000. There are a couple of things to keep in mind here. First, you probably already know that you can be charged with DWI if your blood-alcohol concentration (BAC) is at least 0.08 percent. But that is not the only way the state can prove driving while intoxicated. Texas law also defines intoxication as “not having the normal use of mental or physical faculties by reason of the introduction of alcohol, a controlled substance, a drug, a dangerous drug, a combination of two or more of those substances.” In other words, a prosecutor can prove you were drunk based on the testimony of a police officer who observed you during the course of a traffic stop and performed various field sobriety tests, even if your BAC ultimately tested below 0.08 percent. The second thing to note is that DWI with a child passenger is a strict liability offense in Texas. That is to say, all the state needs to prove is you were driving while intoxicated and there was a child in the car. It doesn’t matter if the child was unharmed or you thought you weren’t intoxicated at the time. Do Multiple Children Mean Multiple Charges? One thing you might be wondering is, “What if there were multiple children in the car with me when I was arrested for DWI? Can I be charged with a separate felony for each child?” A number of Texas appeals courts have looked at these questions in recent years, and the consensus seems to be that a driver can only be charged once for the act of DWI with a child passenger regardless of the number of victims. The state charged the woman with three counts of DWI with a child passenger. She was convicted in the trial court and appealed her conviction. On appeal, she argued this violated her constitutional protection against “double jeopardy”–i.e., a person cannot be punished multiple times for the same offense. The appeals court agreed. 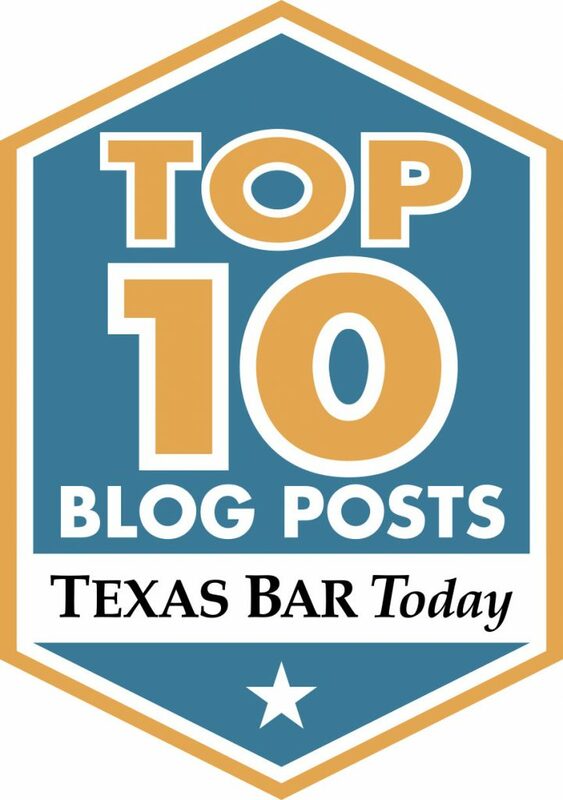 Noting another Texas appeals court had recently reached a similar decision, the judges in this case held the “allowable unit of prosecution for DWI with a child passenger is one offense for each incident of driving or operating a vehicle,” not one offense for each passenger. No matter how many children are in the car, if you are the driver and charged with DWI, you are facing serious consequences. Although many DWI with child passenger cases can be resolved without jail time–Collin County judges can sentence an offender to community supervision (probation)–you will also likely face a six-month suspension of your driver’s license. And conviction of a state jail felony can also impact your civil rights in a number of areas, from your ability to legally possess or own a firearm to the loss of child custody or visitation rights. So if you are charged with DWI and need assistance from an experienced Collin County DWI lawyer, contact Rosenthal & Wadas, PLLC today. Many of us will be traveling during the holiday season. When you cross states lines, however, you need to be aware that there are certain items that may be legal in your destination but not Texas, and vice versa. And we’re not talking about your grandmother’s fruitcake–we mean potentially dangerous weapons, like firearms, knives, and stun guns. Texas is well-known for its permissive gun laws. Just about anyone can purchase a firearm with a state-issued ID. Texas does not require any waiting period for firearms purchases, and you can travel with a handgun in your case so long as it is concealed. However, you do need a license to carry a concealed handgun in Texas. If you already have such a permit, you may be wondering if that applies when you travel outside of the state. The answer to this depends on where you are going. Texas has negotiated “reciprocity” agreements with a number of other states with respect to concealed handgun permits. For example, such an agreement exists between Texas and Oklahoma. This means that if you hold a concealed handgun permit from either state, you can freely travel to the other state with your weapon. But what about states with more restrictive firearms laws? Suppose you are flying to New York City to visit a family member. The State of New York does not have a reciprocity agreement with Texas. And in fact, New York does not allow anyone to own–much less carry–a handgun without a license. So the mere fact you have a concealed-carry permit from Texas will not help you. If the New York police find you with a gun, you can and will be arrested. On the other hand, if you are among the select group of people who do have a license to carry a handgun from New York, Texas will allow you to bring your weapon into this state. In 2006, then-Gov. Rick Perry issued a unilateral proclamation “granting full faith and credit to valid concealed weapon permits issued by the State of New York.” There are a number of states where Texas has similar “unilateral” policies. The Texas Department of Public Safety maintains a current list of each state and its present relationship with Texas with respect to concealed firearms agreements. Note that it is important to check the gun laws of the state you are traveling to before getting on a plane. Do not assume that your weapon is legal at your destination simply because you were able to check it with the Transportation Security Administration (TSA). The TSA regulations simply require firearms be unloaded and locked in a hard-sided container that is checked baggage. But you can still be arrested if the laws of your destination state do not permit concealed carry of weapons. Up until recently, Texas actually had fairly strict laws banning the use of certain knives. That changed in 2017 when the legislature largely deregulated the possession of knives with blades over five and one-half inches, including switchblades and even larger items like machetes and swords. Such blades are now classified as “location-restricted knives,” and cannot be carried in certain places, such as schools, hospitals, churches, and amusement parks. 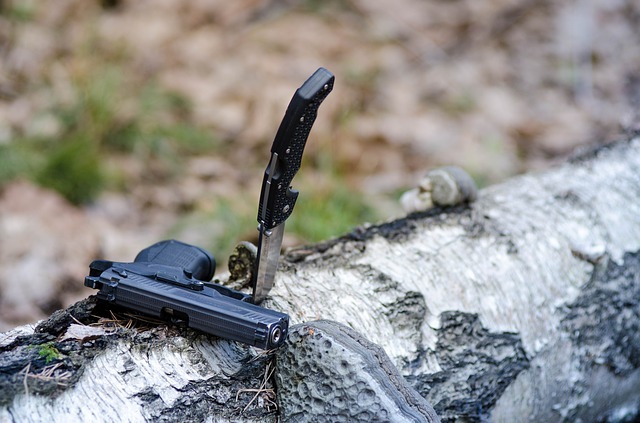 Shorter knives may generally be carried anywhere without restriction. Although we commonly associate knuckles with brass knuckles, there are other devices that fall within the state’s ban. Indeed, the Dallas Morning News reported earlier this year that some people have been arrested for carrying “plastic self-defense keychains” that qualify as knuckles. These inexpensive devices, which are “usually shaped like cats or other animals with pointed ears” are popular among women looking to defend themselves from potential attackers. And while they may be perfectly legal in other states, they remain prohibited under Texas law. Another popular self-defense tool, stun guns (i.e., Tasers), are perfectly legal to possess in Texas, so long as they are used solely for self-defense. But as with firearms, there are some states–notably New York and New Jersey–that ban stun guns. Individual cities, such as Philadelphia and Washington, DC, also restrict the use of such devices. So once again, it is important to check all local laws before you travel. The most important thing to remember is if you are from a state where marijuana is legal, once you cross state lines into the Lone Star State, Texas laws go into effect. You may have bought the marijuana legally for example in Colorado, but it is illegal as soon as you cross into Texas. In Texas, the possession of up to two ounces of marijuana could translate to six months in jail and up to $2,000 in fines. Marijuana intoxication can also be used as grounds to charge someone with a DWI. It’s never legal to fly with cannabis, even if you’re traveling within a legal-weed state like California or between states that both permit marijuana. Air travel falls under federal jurisdiction, and under federal law it remains illegal to possess or transport any amount of cannabis. When TSA officers do find a stash, they hand the incident – and the weed – over to local law enforcement. This can also include Cannabis oil (CBD oil) and cannabis infused products (edibles). No matter how much of an extract you possess, if caught, you are facing felony prosecution. And remember that Texas will hold you accountable for adulterants and dilatants. In other words, if you are caught in Texas with a brownie that contains THC extract or an edible, expect the state to charge you for the entire weight, even the part that does not contain THC. 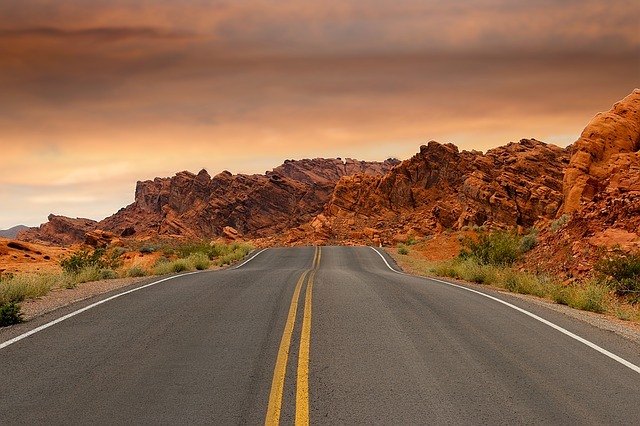 Bottom line – Don’t travel with cannabis across state lines. Need Help from a McKinney Criminal Defense Attorney? If you do find yourself in hot water here in Texas for an item brought into the state, and you need to speak with a Collin County criminal lawyer, contact Rosenthal & Wadas, PLLC today. With the increase in people shopping online comes an increase in the number of packages left on people’s porches or doorsteps for them to pick up when they return from work. But as many people are finding out, those packages sometimes go missing before they return home. The culprit? Porch pirates. Seeing a package sitting out on a porch can be very tempting for people to pick up and run away with. In fact, social media is filled with home surveillance videos showing people running onto a neighbor’s property to grab a package before dashing away. According to one survey, about 30% of people have had a package stolen from them, and these numbers could be climbing. If you are tempted to take a package that does not belong to you, think twice. Not only is stealing a state crime, but you might find yourself caught up in federal charges, in particular, theft. Theft is typically a state crime, and Texas vigorously prosecutes those who steal from another person. However, when someone steals mail, then they have also violated federal law, in particular 18 U.S.C. § 1708. Under this statute, it is a crime to steal, take, or obtain by fraud any mail or to destroy or embezzle any mail. It is also a crime to attempt to commit this crime as well. You can be punished with a fine of up to $250,000 or up to five years in prison, or both. Someone you know might take this information and use it to obtain loans or credit cards, even if you do not use it. Either way, you are vulnerable to prosecution. The federal government has much more resources to commit to prosecuting federal crimes than Texas does prosecuting state crimes. For this reason, we always recommend that you try to avoid violating federal law. Federal prosecutors will throw the book at even a small-time criminal defendant. Think of that the next time you are tempted to abscond with someone’s Amazon package. Federal criminal law and procedure also differs from state law, and not every attorney is prepared to defend you in federal court. An inexperienced attorney does not know how to negotiate a plea agreement with a federal prosecutor or how to get charges reduced or dismissed. With so much at stake, why put your future in the hands of an inexperienced Texas criminal defense attorney? The person caught on the video is not you. Someone else who took the package might look like you. The package was left on your doorstep and you opened it. Sometimes, delivery drivers make mistakes. It is not a crime to have a package if it is erroneously delivered to you and you did not notice that the package was not addressed to you when you opened it. The police illegally searched you. If the police found a small package on your person, they need to have had probable cause to search you. They might have lacked it, which means you can often get the goods excluded from trial. Each case is different. Porch pirates often face both state and federal charges in Collin County, so the process of defending against these claims is lengthy. If you have been arrested for theft or another crime, you need an attorney to help protect your rights. 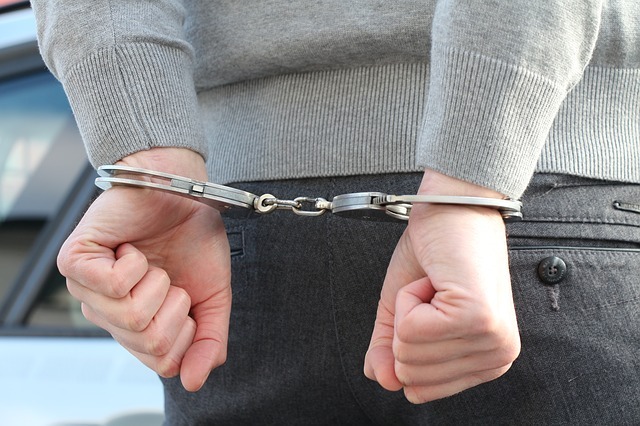 At Rosenthal & Wadas, we see clients make critical errors in the days following an arrest. For example, far too many make incriminating statements to the authorities which are very difficult to suppress or explain away later. As soon as you realize that the police suspect you of committing a crime, reach out to us. You can call 877-538-8640 or send us an online message. One of our Collin County criminal defense lawyers will meet with you to assess your situation and come up with a plan for your defense. Avoid delay. The sooner we get to work defending you, the better our chances of obtaining a favorable resolution. Jeremy Rosenthal and Kyle Therrian were co-authors for the study “Police Discretion and Racial Disparity in Organized Retail Theft Arrests: Evidence from Texas.” The primary author of the research, Michael Braun, an associate professor at the SMU Cox School of Business worked with Mr. Rosenthal and Mr. Therrian to publish the study in the December 2018 issue of the Journal of Empirical Legal Studies. The new study estimates that for a typical Texas police department arresting the same number of blacks and whites for “property theft” of less than $1,500, nearly twice as many blacks than whites were arrested for the more serious offense of “organized retail theft.” The researchers conducted a statistical analysis of arrests for both property theft and organized retail theft from 2012 to 2015. They estimated an association between the arrest charge and the race of the arrestee for 669 Texas police departments and predict that a “typical” department would make about twice as many organized retail theft arrests of blacks than whites, and about 20 percent more of Hispanics than whites, given the same number of property theft arrests. Visit this site to read the entire article. Many people take vacation in December, which would seem to lower stress levels, but with financial obligations, busy schedules and family issues, holidays can be extremely overwhelming. If a loved one is arrested during the holiday season, they may be sitting in a holding cell for 48 to 72 hours before they go in front of a judge for arraignment. Courts are closed on major holidays (including Christmas Eve and Christmas Day) so an arrest during this time, may cause a longer time in jail than usual. The holidays season includes parties, happy hours and social gatherings. Be responsible and designate a driver that evening that is not drinking or have Uber or Lyft drive you around town. If you are driving keep your car in good condition. Broken tail lights or other defects on your car give police officers an opportunity to pull you over and question you. 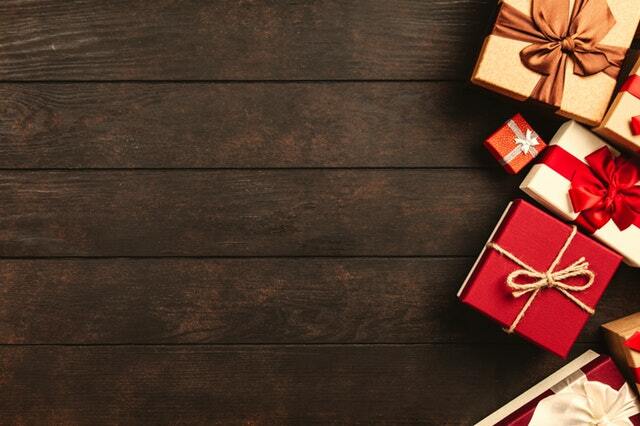 Retail stores of all sizes will frequently increase their security and loss-prevention measures during holiday weekends, as there is no doubt they will see increased traffic in the store. Even a misdemeanor shoplifting charge can carry heavy fines and even jail time. If you are accused of shoplifting or retail theft, the most important step is to seek legal counsel quickly. Sometimes the holiday stress can be overwhelming, and people lash out towards those people they feel closest to. A holiday argument could very well escalate into allegations of domestic violence. 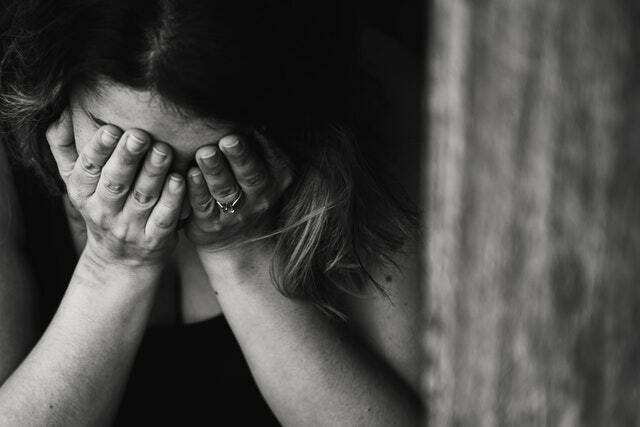 When a case of domestic violence is reported to law enforcement, the state will likely press charges even if the alleged victim does not want to pursue criminal charges. While we hope you never have to contact our office, it is important to have our phone number in your cell phone just in case. Just like your insurance agent you want to have a plan of who to call when you need assistance. If you or a loved one is arrested, Rosenthal & Wadas is available to assist you 24 hours a day, including holidays ~ 972-369-0577. What Is an Affidavit of Non-Prosecution (ANP) and How Does It Affect a Criminal Case? Many Collin County criminal cases start with someone contacting the police and filing a report. This is a common occurrence in family violence cases–someone tells the police their partner assaulted them. After some time has passed, however, the accuser may not wish to go forward with criminal prosecution. Maybe the person made up the whole thing, or perhaps they simply want to put the incident “behind them” and avoid testifying at a public trial. There is a misconception among many people that an accuser can simply “drop the charges,” thereby ending the criminal case against the defendant. But that is not how the criminal justice system operates. In a civil case, a plaintiff may voluntarily dismiss his or her lawsuit against the defendant. In contrast, a criminal case is handled by the District Attorney, not the accuser, as the legal representative of the State of Texas. This means that once a case is in the system, it is ultimately up to the DA to decide whether or not to proceed. Obviously, a DA’s job is more difficult if the accuser no longer wishes to cooperate. Prosecutors will certainly take the accuser’s wishes into account, but they are not legally bound by them. If the DA decides to proceed with the case, he or she can still compel the accuser to testify in court by issuing a subpoena. And as with any witness, if the accuser tries to ignore the subpoena, the court may issue an arrest warrant and cite the person for contempt of court. That said, the accuser may try to avoid the need for testifying by filing a document known as an “affidavit of non-prosecution” (ANP). 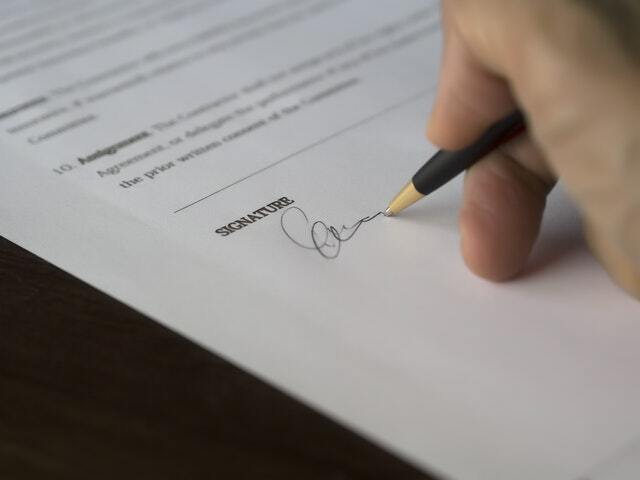 An affidavit in Texas is basically a written document sworn before a notary that states certain facts and attests to their truthfulness under oath–i.e., under penalty of perjury. While the precise form will vary based on the case, an ANP essentially states that the accuser does not wish to pursue charges against the defendant and presents any additional facts or circumstances the District Attorney and the judge should be aware of before proceeding any further with prosecution. The ANP should also make it clear the accuser understands she may still be compelled to testify in court, and that she is signing the affidavit voluntarily and not under coercion, threat, or promise of any future consideration. This last point is critical. The defendant must not take any action in order to secure an ANP. It must be the accuser’s free and voluntary action. And in many family violence cases, a defendant who attempts to contact the accuser about an ANP may also violate a standing order of protection. So, under no circumstances should a defendant ever try to pressure or lobby their accuser into making a statement renouncing their previous allegations. 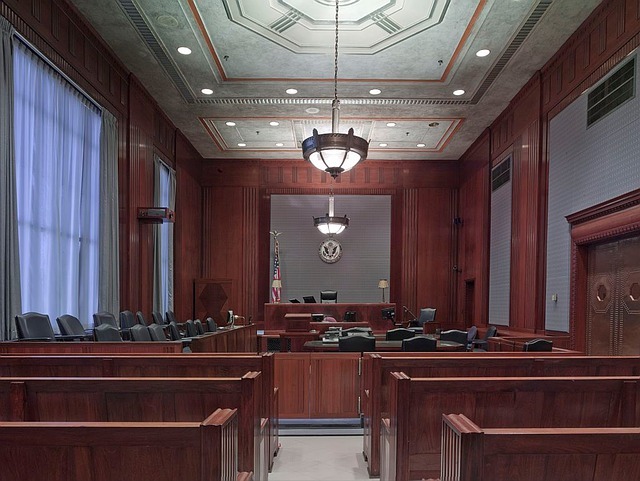 If you are a defendant facing a false accusation or an accusing witness looking to avoid a trial, contact the criminal lawyers in Collin County at Rosenthal & Wadas, PLLC, today if you need immediate legal advice or assistance. Can You Refuse to Testify if Subpoenaed by a Texas Court? Have you received a subpoena to testify as a witness in a criminal trial or grand jury proceeding? If so, you probably have many questions regarding the law and your rights. For example, can you ignore the subpoena? If not, what are the penalties if you refuse to show up in court and testify? And can you be forced to testify if what you say might incriminate you? Here is a brief explanation of what subpoenas are and how you may be able to avoid testifying under certain circumstances. Keep in mind that this is simply general information and not specific legal advice for you. As with any legal matter, you should speak with a qualified Collin County criminal defense lawyer if you require assistance with a specific problem. A subpoena is basically a court order directing the recipient to appear before a court for a specific purpose. That purpose is usually to testify at a criminal trial or before a grand jury, although there are other kinds of legal proceedings where subpoenas may be used, such as a coroner’s inquest. The subpoena itself is normally issued to a peace officer, such as the local sheriff, who serves it on the recipient. A Texas court may also issue what is known as a “subpoena duces tecum.” This is an order directing the recipient to bring a particular “instrument of writing or other thing desired as evidence” to the court for use in a criminal proceeding. For example, a subpoena duces tecum may direct you to bring certain records to the court which are relevant to a particular trial. What Happens If I Ignore a Subpoena in Texas? A subpoena is not a polite request. It is a legally enforceable court order requiring the recipient appear in court–or bring the requested evidence–and testify at a given date and time. If you fail to obey a subpoena, a judge can fine you up to $500 if the underlying case involves a felony, or up to $100 if it is a misdemeanor trial. The fine itself is conditional. If you later appear in court and “show cause”–i.e., provide the judge with a valid explanation of your prior failure to obey the subpoena–the court may reduce or waive the fine. Also, if you show up and testify after initially disobeying the subpoena, the judge has the discretion to reduce or waive your fine, although you may be still be assessed court costs. Can I Go to Jail for Disobeying a Subpoena? In a Texas state court, a judge may issue an order known as a writ of attachment, which orders a police officer to physically bring you to court in order to comply with a subpoena. It is effectively an arrest warrant. And in theory, the judge could order you held in custody until the underlying criminal trial is completed. With respect to federal court, disobeying a subpoena is considered an act of “criminal contempt.” This means you can be separately charged and tried for refusing to appear or testify in the original case. If convicted–and you are entitled to a jury trial for criminal contempt–the judge can send you to jail for up to six months. How Can I Fight a Subpoena? While you cannot simply ignore a subpoena without facing the legal consequences outlined above, there are situations where you may fight the subpoena. The two most common examples of this are cases where the witness might incriminate themselves through their testimony, or scenarios where the testimony itself is subject to privilege. The Fifth Amendment to the U.S. Constitution states that no person “shall be compelled in any criminal case to be a witness against himself.” So even if you are under subpoena, you can never be compelled to testify when doing so might place you in legal jeopardy. Along similar lines, there are certain types of legal communications that are privileged–i.e., protected from compelled testimony. For instance, spouses cannot be forced to testify against one another. If you have received a subpoena yourself and believe you may be protected by constitutional or other legal privilege, you should speak with an Collin County criminal defense lawyer. Call Rosenthal & Wadas at 972-369-0577 today if you need immediate legal advice. In most misdemeanor–and many felony–cases, a defendant is not sent to jail upon conviction. Instead, Texas law allows the judge to sentence the defendant to community supervision, which is more commonly known as “probation” in other states. Probation basically means the defendant remains free, subject to his or her compliance with certain conditions imposed by the court. In misdemeanor cases, probation can last up to 2 years. In felony cases, probation may run as long as 10 years, although it is possible to seek early release under certain circumstances. If you are under community supervision in Collin County, Texas, you know that you must frequently report to a probation officer. You must also typically obtain your probation officer’s permission to change jobs or residences. This raises a number of questions that you might not have previously considered: What if I want to move outside of Texas? Can I do so? And does my probation continue in my new state? Alternatively, if you are currently serving probation in another state, is it possible to move to Texas? The short answer is yes, it is possible to move from one state to another while on probation. Texas is part of a legal agreement known as the Interstate Compact for Adult Offender Supervision. This is basically a contract between the 50 state governments and the District of Columbia that makes it possible to “transfer” probation from one jurisdiction to another. So how does the Interstate Compact work? Let’s say you are currently serving probation here in Texas and you want to move to Arizona. In order to make that happen, you must file an application with your probation officer before you move. If your probation officer and the State of Texas approve your application, it is then sent to Arizona officials for their review and approval. 1. There are more than 90 calendar days left on your term of probation. 3. You are in “substantial compliance” with your existing probation conditions. 4. You are a resident of the receiving state. 5. You have family members who live in the receiving state and are willing and able to assist with your plan of supervision. 6. You can obtain a job in the receiving state or possess other financial means to support yourself. 1. You are a member of the armed forces currently on probation in Texas and you have been deployed to the receiving state. 2. You are a civilian on probation in Texas but married to a spouse who has been deployed to the receiving state. Along similar lines, if you or your spouse hold a non-military job and a transfer to another state is necessary as a condition of maintaining your employment, you are eligible for a mandatory transfer under the Interstate Compact, assuming the person on probation still meets all of the other conditions described above. Even if you do not qualify for a mandatory transfer of supervision, you can still apply for a discretionary transfer under the Interstate Compact. Keep in mind, however, that discretionary means just that–neither the sending nor the receiving state is obligated to grant your request. Under the Interstate Compact, the sending state must provide “sufficient documentation” to justify an offender’s request. But the receiving state is still free to say no, provided they specify their reasons. Also note that even in mandatory transfer cases, the receiving state still has the right to conduct an investigation to ensure the offender meets all of the requirements under the Interstate Compact. According to the terms of the agreement, the receiving state typically has 45 calendar days from the receipt of the sending state’s request to complete its investigation. This is only a brief overview of the Interstate Compact and how it works. If you have any further questions about how transferring your probation to or from another state may apply to your family situation, you need to speak with a qualified criminal lawyer in Collin County. Contact the dedicated Collin County probation violation lawyers at Rosenthal & Wadas, PLLC if you need immediate legal advice or assistance. Rosenthal & Wadas is pleased to announce the addition of attorney Vanita Budhrani Parker to its practice, having joined the firm in September 2018. With more than 20 years of criminal law experience, including her background as both a Dallas County prosecutor and criminal defense attorney, Vanita is a tremendous asset to clients charged with alleged criminal violations,” said Derk Wadas, co-managing partner of the firm. Since leaving the Dallas District Attorney’s office in 2009, Vanita has spent her time defending clients charged with crimes ranging from misdemeanors to Capital Murder. She specializes in defending clients diagnosed with mental illnesses or impairments and works with mental health providers and doctors to ensure that her clients are getting the treatment they need. Over the course of her career, Vanita has represented law enforcement officers, acting as both a legal advisor and General Counsel for the Dallas Chapter of the National Latino Law Enforcement Organization and representing police officer defendants in various crimes as a defense attorney. She has also represented officers with the Texas Municipal Police Association. Vanita brings litigation and leadership experience to our office and we’re excited to have her on board,” said Jeremy Rosenthal, co-managing partner of the firm. Rosenthal & Wadas PLLC is pleased to announce that Derk Wadas and Bo Kalabus have been selected for inclusion in the 2018 Texas Super Lawyers list. Derk Wadas serves as a managing partner of Rosenthal & Wadas and has been selected for the Super Lawyer list for 5 consecutive years. He is Board Certified in Criminal Law by the Board of Legal Specialization and is a former Collin County prosecutor. Bo Kalabus is celebrating 7 consecutive years on the Super Lawyers list. He has been practicing law for eighteen years, focusing solely on criminal defense since 2010. Super Lawyers recognizes lawyers from more than 70 diverse practice areas across the state who have attained a high degree of peer recognition and professional achievement. Only five percent of attorneys in the state are selected for inclusion on this list, which is compiled through the publication’s patented, multiphase process that includes a statewide survey of lawyers, an independent research evaluation of candidates and peer reviews by practice area. For more information about the Super Lawyers list, visit SuperLawyers.com. 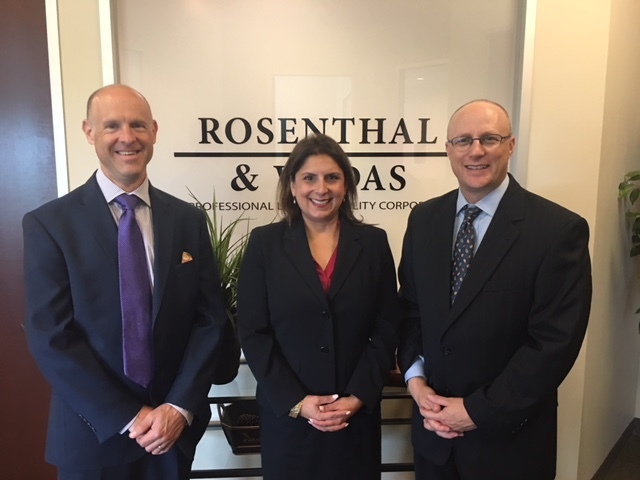 Rosenthal & Wadas, the largest criminal defense firm in Collin County, has two partners board certified in criminal law by the Texas Board of Legal Specialization. Both partners are former state criminal prosecutors and head a firm of seven lawyers who have dedicated their practice to the defense of individuals charged with criminal offenses. Our firm represents people that stand accused in a variety of criminal cases, including complex white-collar matters, federal conspiracies, state felony and misdemeanors and other serious allegations. For more information, visit RWLawyers.org or call 972-369-0577.